Christmastime; love it or hate it, it’s here once a year, so whether you’re a fan of festivities or a bah humbug type, you should try and use it to business advantage. For some it offers valuable downtime, for others, a boost in sales or orders. Here are some ways you can embrace the ‘season to be jolly’ and help your business. Extra communication and strengthening client relationships – Christmas provides the perfect opportunity to get back in front of clients by inviting them out for a festive lunch or drink. It is good for the relationship and an enjoyable activity to partake in! If budgets won’t stretch to that, make sure they’re on the Christmas card list (or e-card list – it is the 21st century!) and if you’re not planning to send any, speak to your customers if you are planning to donate to a charity instead, and let them know which charity will benefit. If you prepare a client/customer newsletter, ensure you send one before the Christmas break to put you in the forefront of their minds. And don’t forget to let everyone know of your Christmas closure times. 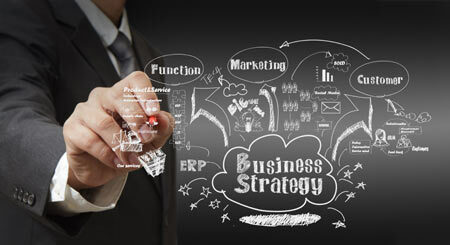 Business Planning – Be flexible. If you sell a product/service that peaks around Christmas, make sure you have enough stock without putting pressure on cash flow. Ensure your suppliers have stock, and negotiate so you have sale or return, or extended payment terms. Extra marketing – if you are a retailer in eCommerce, use your database to reach out to customers who bought from you in the festive season last year, to remind them of your existence, and let them know of any special offers. Even for none retailers, Christmas is a time of jollity and therefore people are far more open to marketing at this time of year, so it’s a good time to push your service whatever industry you’re in. Strengthening staff relationships – The question of the staff Christmas do – what to do? My advice is to speak to them and see what they want to do instead of trying to be different or wacky and choosing something expensive! They say staying in is the new going out, and some may prefer drinks and food at the office one evening. They can get involved by organising some of this so they get right into the party spirit – and no one need worry about keeping the noise down! There could even be some old school fun party games with traditions like lucky dip or a Secret Santa to ensure everyone goes home with a gift. Getting on top of IT – throughout the year important IT functions need to be performed that sometimes impact on the business, causing downtime when processes such as system upgrades are occurring. The Christmas period is an excellent time to get on top of any IT issues that need to be ironed out, which utilises a quiet period (such as during official office closure) and means you can start the new year safe in the knowledge the IT is up to speed. Use quiet time to plan ahead – If Christmas is quiet for your business then plan for next year. Have an away day and put some fresh thought into you are going to grow and improve the business next year. Try and make a plan that everyone is on board with and excited about so that the return to work in January is invigorating, not depressing! Out with the old – who wants to start the year with a cluttered inbox? Tidy inbox, tidy, focused mind! Get on top of filing so you can hit the ground running in January, not trudging or wading in old correspondence. Save energy, save money – shut down everything in the office such as lighting, heating (or switch to low), computers, monitors, photocopiers, printers, Christmas lights etc. – and even server systems if they are not needed during the break. They can still be suing 90 per cent of their standing consumption if you don’t. Plan for any emergencies – Christmas tends to be the one time the office or business will be closed down for any period of time, so planning for emergencies such as power failures or the security alarm going off should be considered. Ensure key staff are given responsibility for any eventualities and ensure everyone has a list of contact numbers for each other and appropriate services that may be needed in case of emergencies. The above advice should be taken with a sprinkling of Christmas cheer, for best results! Neil Lancaster is a partner at Adams Moore, an accountancy and business adviser firm where the partners have more than 60 years’ experience in assisting businesses of all shapes and sizes, providing quality and cost effective business advice to all clients as well as fixed fee high-level support packages.